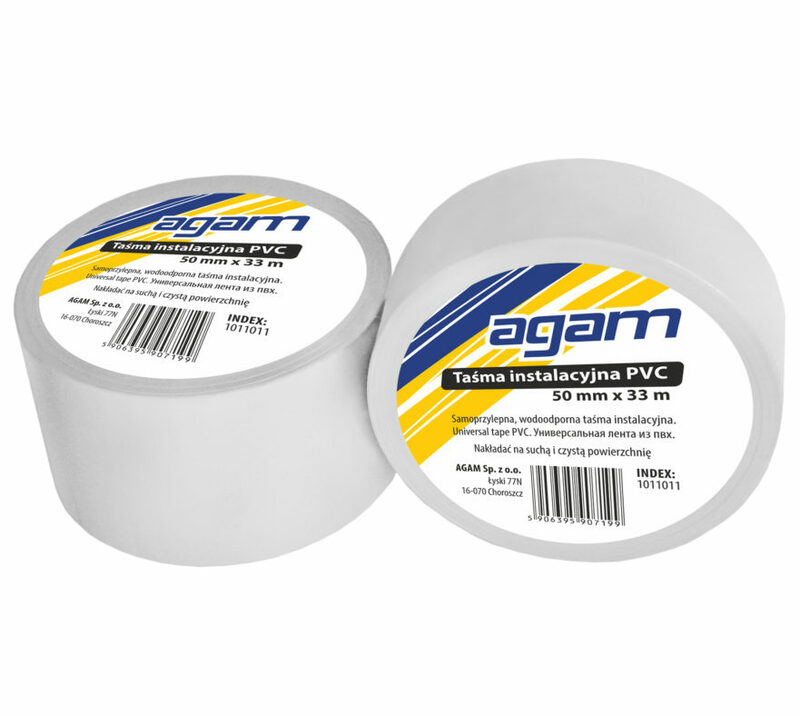 The aluminum tape is used for gluing elements in ventilation, heating, refrigeration, automotive and electronic industry. Strengthening with fiberglass improves resistance, especially in places exposed to e.g. low temperature, humidity. 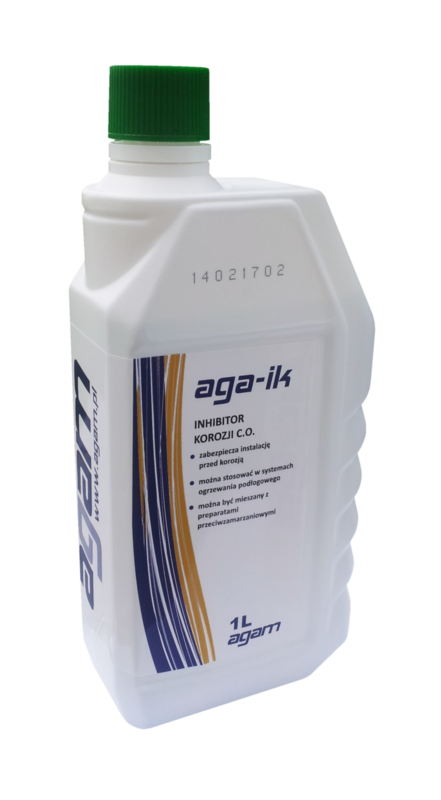 Acrylic adhesive is protected with an easy to open silicone paper. It has good abrasion and aging resistance. Aluminium tape ALU+ harden 45m x 48mm 1011007 5906395907151 24 pcs. Aluminium tape ALU+ harden 45m x 72mm 1011008 5906395907168 16 pcs. Aluminium tape ALU+ harden 45m x 96mm 1011009 5906395907175 12 pcs. 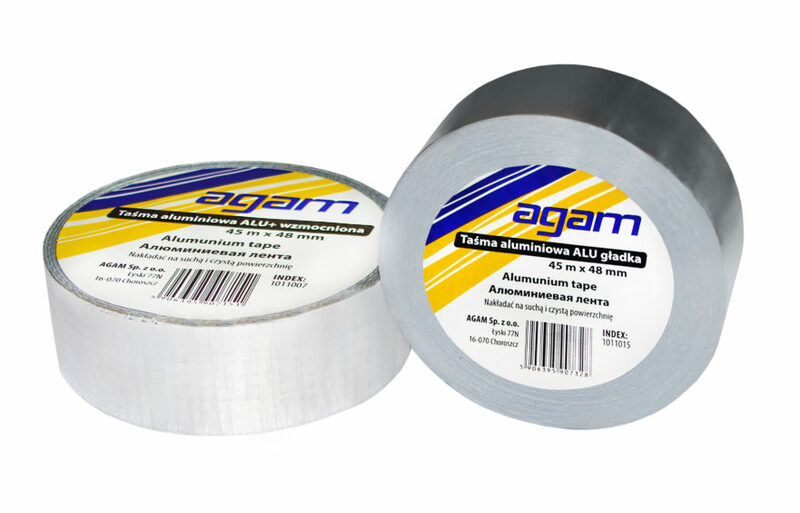 Aluminium tape ALU smooth 45m x 48mm 1011015 5906395907328 24 pcs. Universal duct tape from LDPE film and polyester fabric. Excellent (initial) adhesion on to smooth or rough substrates. Temperature resistance -10°C do + 75°C. 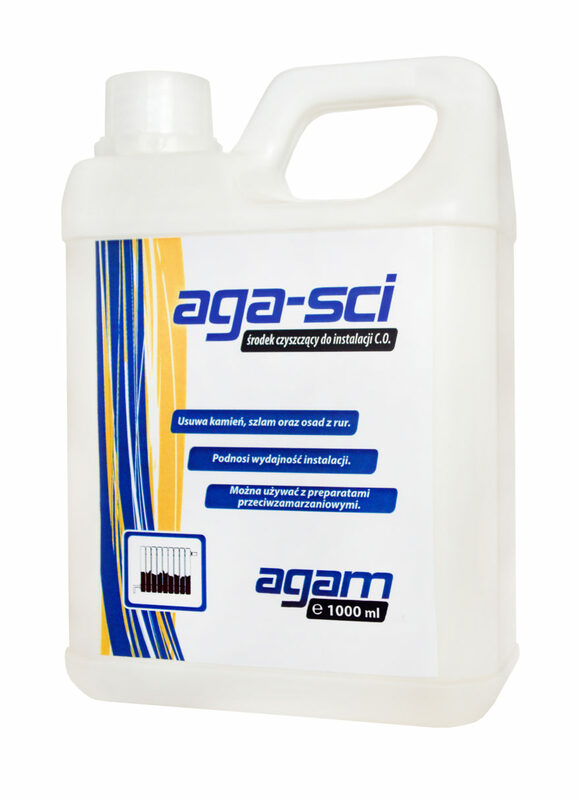 Scale remover, detergent for oxides, sludge and mud. It also exerts an anticorrosive protecting the installations and reducing the excessive formation of encrustations. It keeps lime scales and deposits in suspension in the plant. It is chromate free according to the regulations in force (LAW no. 319/79).